Co-Chairperson of IMADR, Nimalka Fernando, was selected as one of the 2014 Women PeaceMakers of the Joan B. Kroc Institute for Peace and Justice (IPJ) of the University of San Diego. 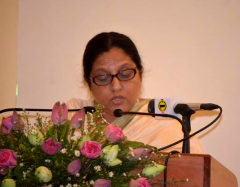 Through a Peace Writer, the program documented her work of peace making and the promotion and protection human rights in Sri Lanka. 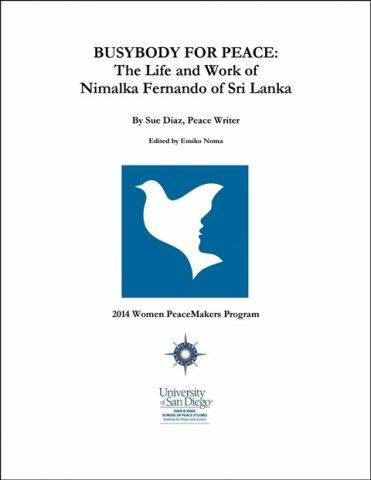 Her story, “Busybody for Peace: The Life and Work of Nimalka Fernando of Sri Lanka”, is now available to learn her personal struggles as well as the recent history in Sri Lanka which is marked by the decades long conflict between the State and Liberation Tigers of Tamil Eelam (LTTE). The publication can be downloaded by clicking the image below.